The owners of the Granby Gambles store that was demolished in the bulldozer rampage of June 4 plan to rebuild on the store’s former location. Despite being under-insured, Casey Farrell, who owns the store with his wife Rhonda, said an offer from the Grand County Builders Association gives them the financial edge needed to rebuild. 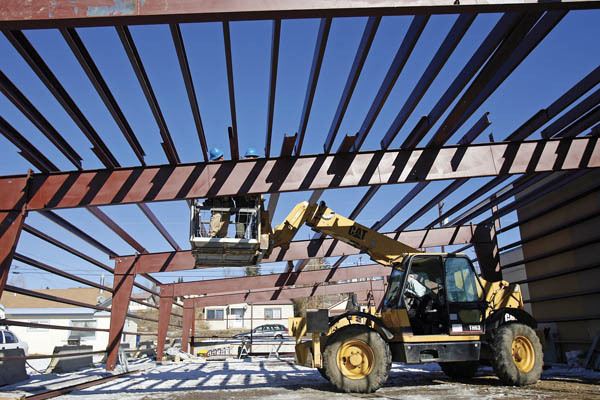 “We’re under-insured,” Farrell said, adding that the cost to rebuild his building and replace his inventory exceeds what he has available through insurance. “But the builders’ association came to us and they’re going to build us a building,” Farrell. The building was a 4,800 square foot structure that was recently remodeled as part of improvement efforts for the enterprise. Within 10 days after Heemeyer bulldozer attack the remains of the old Gambles store were completely gone. All that remains is a concrete slab and a hole in the ground after the building was demolished and removed. The Gambles store has been a mainstay of the Agate Ave. retail business community in Granby for many years. 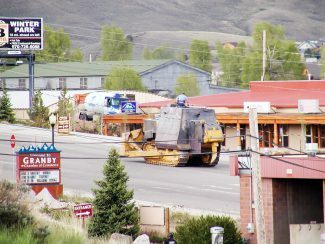 The town of Granby has agreed to waive use taxes for businesses who want to rebuild after the dozer attack. The town is also planning on working with the Farrells on needed zoning and parking regulation accommodations to allow the store to go back into its original location. (See related stories). 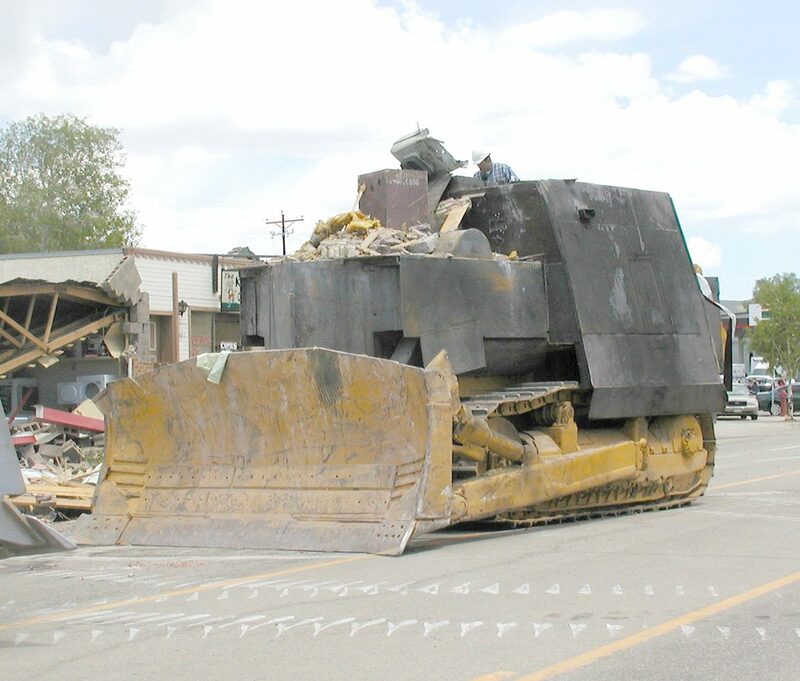 The Gambles store was the last stop in Marv Heemeyer bulldozer rampage in which many buildings in Granby were severely damaged or completely destroyed. 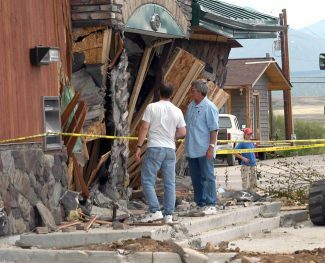 Once inside the Gambles store the bulldozer sank into a basement and was unable to move out of the structure. 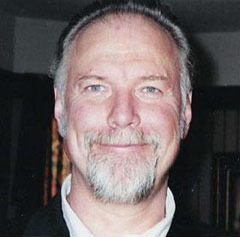 It was there that Heemeyer killed himself inside the bulldozer. The building was a total loss, as was most of the inventory. As for his employees, Farrell said his insurance allows him to pay them for a few months. After that, he hopes they can get unemployment. He hopes to re-hire his staff. Farrell said he’s been overwhelmed by the outpouring of support from the community. He said he wanted to thank all those who are helping him.